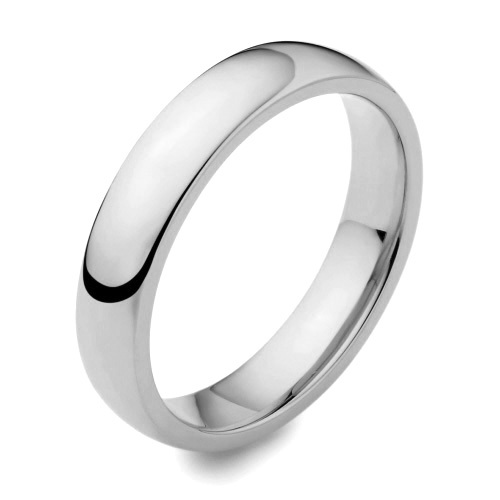 Medium weight plain wedding ring with a curved upper surface and a gently rounded inside giving a comfortable feel to this traditional design of ring. Approximately depth is 1.5mm - 2.0mm. Width is 4mm. Available in 9ct and 18ct yellow, white and rose gold, palladium 950 and platinum 950. Sample service available. * Our sample is white in colour.